Abhay accuses the Oberois of purposefully burning Kalyani Mills. How will they react? Read Game Of Love April Teasers 2019 on Starlife. During the Sangeet, Shivika shares an emotional moment. Ragini misleads Shivaay by pointing at Anika’s ring. What is wrong with the ring? Shivaay apologizes to Ragini for faking a proposal. Anika and Ragini get ready for the mehendi ceremony. What were Rudra and Bhavana doing in Sultan’s room? Anika questions Shivaay about their relationship. Sultan finds out Bhavya’s identity and kills Bhajrangi. Episode 353Shivaay and his brothers save Anika from getting married to Vikram. Pinky threatens Anika and Svetlana threatens Tej! Shivaay informs Anika, Omkara, and Rudra that he knows the truth about his birth. Later, Pinky reveals that she lied to Anika about Shivaay’s birth. Janhvi meets Dandi and offers to help her. He goes to Peter’s place disguised as Kaveri’s brother. What did Janhvi find out? Janhvi finds out about Tej and requests Kaveri to take Peter with her to the Oberoi Mansion for Shivaay’s wedding. What is Janhvi’s plan? Episode 358Shivika wins the first challenge. Tej tries to tell Jhanvi about Svetlana’s plan and keeps a note in her food. Will Jhanvi see it? Dadi tests Anika and Shivaay’s love for each other. Tej looks for a way to escape from Svetlana. 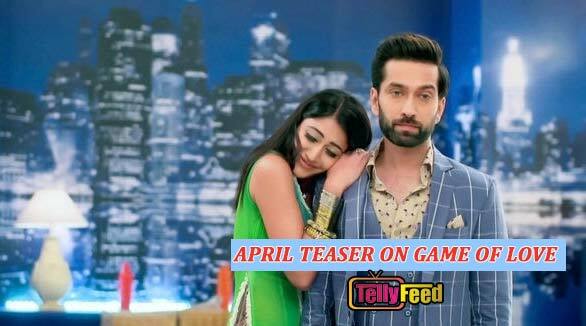 Anika adores Shivaay for his efforts. Bhavya challenges Rudra to earn Rs. 25000 in a week. Gauri is dumbstruck by Omkara’s decision. Shivika has fun in the ‘Phoolon Ka Chadar’ function. Elsewhere, Balram challenges Gauri to save Om after he takes him hostage. Anika finds a mysterious envelope. Janhvi and Om put up an act in front of Svetlana to make her execute her plan. What’s going on in Oberoi Mansion? Svetlana finds out that the keys were replaced. Pinky wants to host a wedding function and asks Dadi to convince Shivaay. What’s on her mind? Shivaay, Om and Rudra spend their time thinking about their better halves. Suddenly, Anika’s aunt arrives to meet Shivaay and makes a deal with him. About? Gauri joins an English class. Shivaay and Om find out that Svetlana is behind a painting. Meanwhile, Dadi organises a function on Shivaay’s insistence to test all the couples. Bhavya and Rudra assure themselves that they don’t have feelings for each other. Shivika get closer, whereas Om and Gauri experience differences. Gauri and Anika attend Suman’s wedding. They learn that Suman has been forcefully married off to an elderly man. How will they save her?